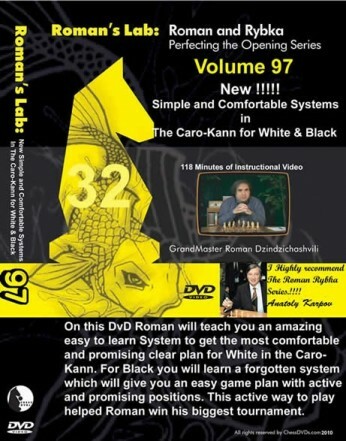 On this DVD, Grandmaster Roman Dzinzichashvili will teach you an amazing, easy-to-learn system to get the most comfortable and promising plan for White in the Caro-Kann. For Black, you will learn a forgotten system which will give you an easy game plan with active and promising positions. This active way of play helped Roman himself win the biggest tournament of his chess career.